LoL Pro League 2019 is a Chinese league, which will be hosted from January 14 to April. Shanghai, Hangzhou, Chongqing, and Chengdu have become the cities, in which matches of LPL Spring 2019 will be hosted. The general prize pool of the league amounts ¥3,500,000 Chinese yuans (~$522,170), and the main prize pool is ¥1,500,000 (~$223,790). Besides financial resources, a winner will earn the main prize in the form of an invite to Mid Season Invitational 2019 and also 90 Championship Points. The group stage will be hosted by a Single Round Robin system and all matches will be run in a bo3 format. Eight best participants of the group stage will advance to the playoffs and play in a Single Elimination bracket there. All matches of the final stage will carried out in a bo5 format. 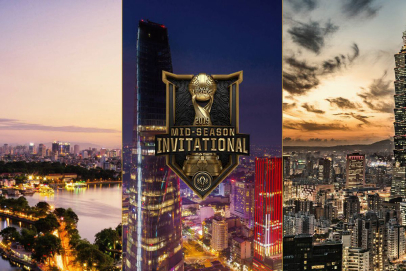 Teams to place the top four in the league will go to Rival Rivals 2019 - LCK vs LMS vs LPL and a winner, as it was said before, will become a participant of Mid Season Invitational 2019.